This neighbourhood is significant in telling South Africa's story. Find out why this place is the heart beat of Cape Malay culture. Known as the heartbeat of Malay culture, Bo-Kaap is an Afrikaans word which means "Above the Cape". Located on the slopes of Signal Hill- Cape Town, this predominantly Muslim community is known to be one the oldest residential areas in the city. Largely characterized by it's Cape Dutch architecture and brightly painted flat-roofed houses and narrow cobbled streets reminiscent of old European cities. Bo-Kaap is an eclectic fusion of Malaysian, Dutch, Indonesian and African cultures. This close knit community is a historic powerhouse and a reflection of South-Africa's political processes under colonialism, tracing it's origins towards the end of the 17th century with the importation of slaves from Indonesian islands and some parts of Africa. Bo-Kaap is famous for it's brightly colored single-storied houses, previously known as "huurhuisies" (rental houses). In earlier days the houses were leased to slaves and as a rule, they could only be painted white,after the abolition of slavery in 1834, the rule was lifted which allowed freed slaves to use their homes as a canvas to express their new found freedom and long subdued individualism by painting their homes in the bright colors we see today. Bo-Kaap is home to just over 6,000 people, the majority of whom are Muslim. The first Muslims came to South- Africa as political exiles, and came from noble and honorable families such as the revered Iman (religious leader) Abdullah Ibn Kadi Abdus Salaam also known as Tuan Guru, an Indonesian prince and scholar who was instrumental in reviving the Muslim community after his release from Robben Island. Tuan Guru was brought to the Cape on the 6th April 1780 as a political prisoner and traced his lineage to the Sultan of Morrocco and was a descendent of the Islamic Prophet Muhammed and lived in Bo-Kaap. He died in 1803 and was buried at the Tana Baru (New Ground) Cemetery in Bo-Kaap along with Sheik Abu Bakr Effendi. The low brick walls and narrow cobbled streets of Bo-Kaap are a social space. It is a space where locals gather and travellers make colorful memories. Notably on the 2nd of January every year, when thousands of flamboyantly dressed men, women and children of all ages, erupt unto the streets of Cape Town in brightly colored tail suits and top hats. In celebration of the annual Cape Minstrel Festival or Kaapse Klopse, which is known to be one of the longest held traditions of the residents of Bo-Kaap. The Cape Minstrel Festival, also refered to as Tweede Nuwejaar (Second New Year) has become an intergral part of Cape Town's history and is largely entrenched in the experiences of slaves. This annual festival is influenced by American minstrel troupes who visited Cape Town in the 1800's, it is a celebration of freedom and the diverse cultural experience of previously marginalized people. One significant feature of Bo-Kaap is the Auwal Mosque, built in 1794 on the land of freed slave, Coridon Van Ceylon, and is known to be the first mosque in South- Africa. This historical monument where Tuan Guru served as it's first Imam is located at Dorp Street. Enroute to the Auwal Mosque is one of the oldest houses in the neighbourhood, which is currently home to the Bo-Kaap museum. The museum depicts the life of a traditional 19th century muslim family living in Bo-Kaap and attracts locals and travellers alike. Another specialty of the Bo-Kaap has to be it's distinct cuisine and cooking methods. The hearty scent of a simmering tomato bredie (stew) and the sweet comforting aroma of deep fried koeksisters linger in the modest kitchens of Cape Malay women, who often welcome travellers into their homes for local cooking lessons. This is the perfect opportunity to release your inner Jamie Oliver and immerse yourself in the culture of the locals. (P.S pop in at Once in Cape Town reception and find out how you can join a colorful culinary experience). 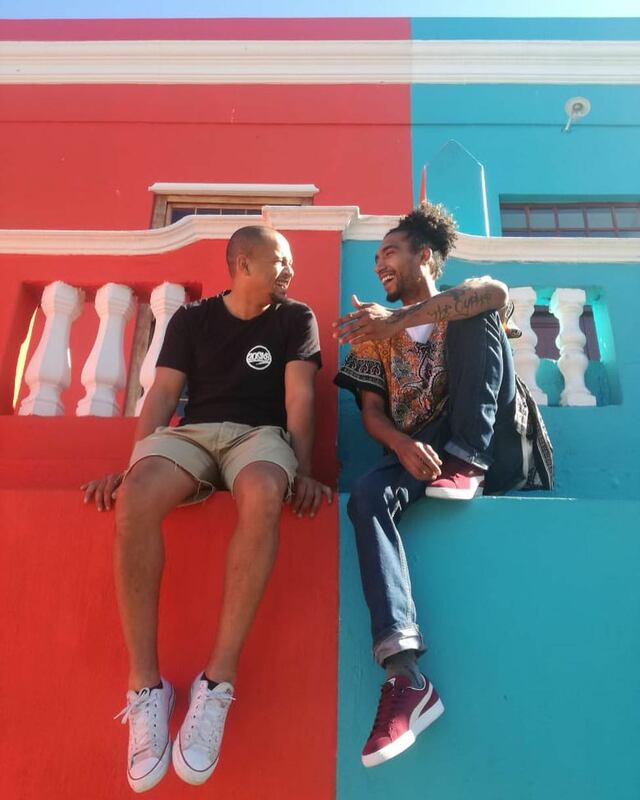 It is without a doubt that the picturesque suburb of Bo-Kaap is a multi-faceted community which is expressed by it's rich cultural heritage and has notably endured a turmultous past, but still remains a symbol of hope, defiance and cultural expression and is a clear representation of the interconnectedness of humans through a shared past. A visit to the Cape Malay Quater is incomplete without a visit to the Bo-Kaap museum. The museum is located on 71 Wale Street; this historical monument depicts the life of a family living in Bo-Kaap in the 19th century and is an illustration of life in Bo-Kaap during this time. Founded on the values of Muslim culture and tradition, Biesmillah is one of Bo-Kaap's most popular restuarants;enjoy an authentic Cape Malay chicken curry and other delicacies. In Muslim culture, it is common practice to welcome strangers into one's home. As a way of preserving Malay cooking traditions and history, many women in the community offer local cooking courses to locals and travellers. Enquire at Once in Cape Town Travel desk to find out more about these colorful cooking courses. 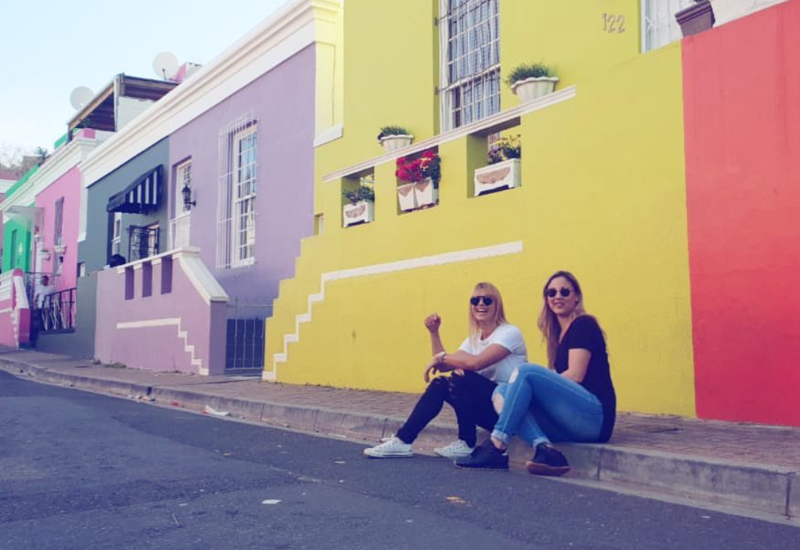 Free Walking Tours Cape Town offers daily free walking tours around the city, its a cool way to explore Bo-Kaap by foot and capture colourful moments. A monthly community market held on the first Sunday of the month at the Schotsche Kloof civic centre, enjoy live food presentations, music and Cape Malay culture.